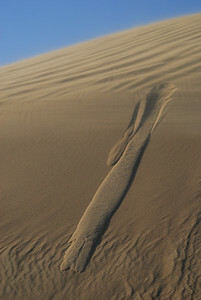 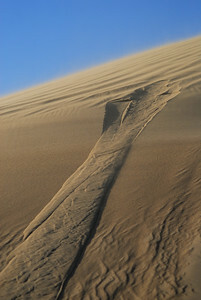 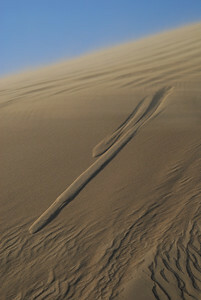 A wind-swept sand dune begins to cascade in a sand slide that runs downhill like water. 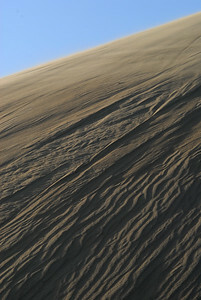 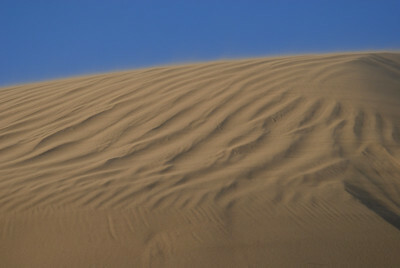 A wind-swept sand dune with ripples like waves across its surface. 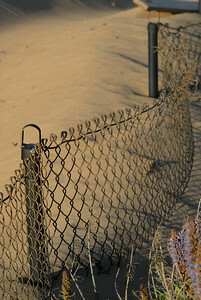 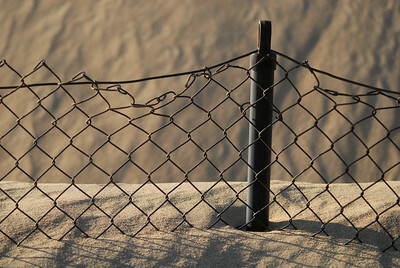 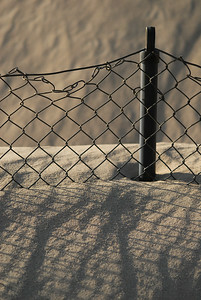 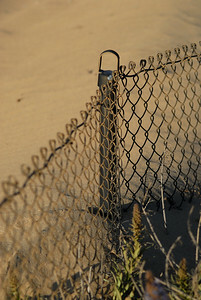 A shifting wind-blown sand dune threatens to encroach on developed property and engulf a nearby fence. 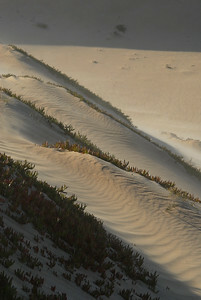 A wind-swept sand dune with ripples like waves across its surface, partially anchored by plants adapted to live among the shifting sands.